Simon & Schuster, 9781439166031, 415pp. "Relax The horror stories you have heard about adolescence are false." 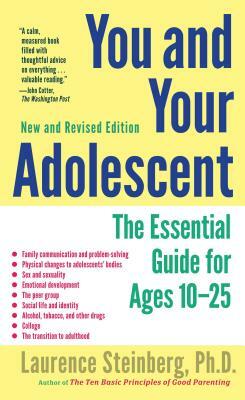 As Dr. Steinberg writes, "Most books written for parents of teenagers were survival guides (many still are). Nowadays, adolescence is too long--fifteen years in some families--for mere survival. Knowledge, not fortitude, is what today's parents need. That's where this book comes in.